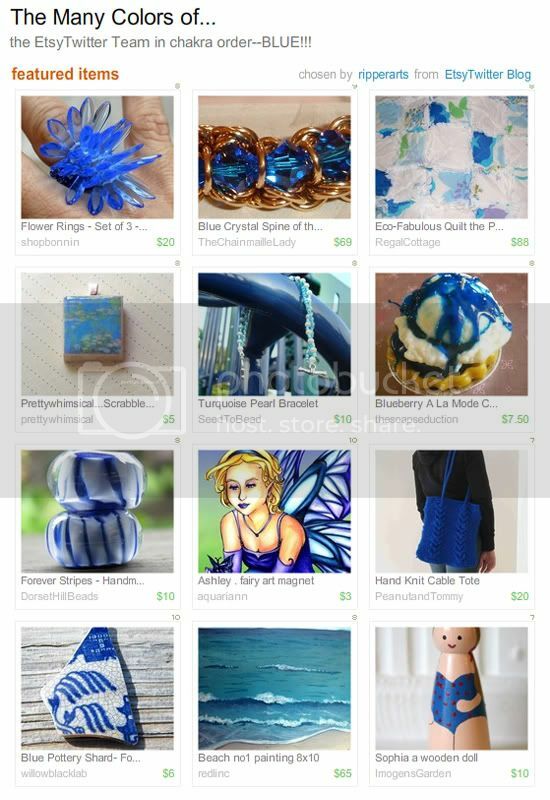 My Ashley fairy magnet is featured in another beautiful EtsyTwitter Team treasury, this time chosen by ripperarts. I'm a fan of using bold colors in my art, so I'm excited to see my work among such very different, but just as vibrant, handmade items. *flashes* View this collection before it disperses on Friday, August 14th at 9:48pm.